The Palau Animal Welfare Society (PAWS) is a non-profit corporation founded in 2000 by a small group of animal lovers to promote the health and well being of domestic animals in Palau. Starting in 2000, PAWS provided medical services to sick and injured animals, treating animals in parking lots and later in a government-provided office, and hosted spay/neuter clinics twice a year, bringing in off-island veterinarians. 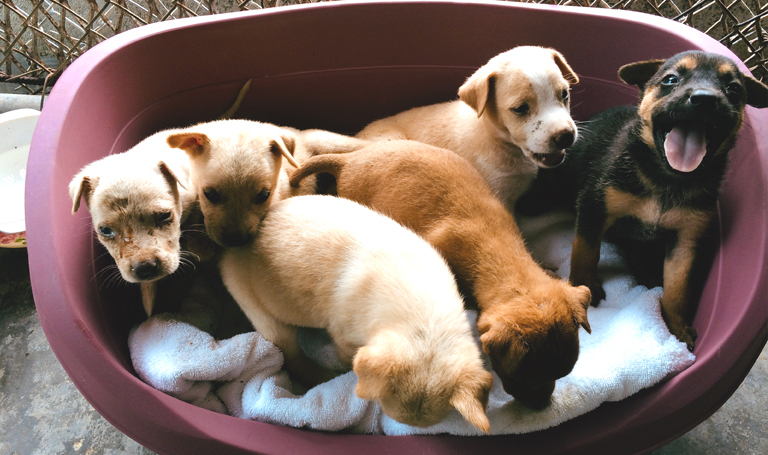 PAWS began working with the Koror State Government (KSG) and its legal counsel, Valerie Lowson, in 2004 after their animal control act was passed and found funding for the development of the Koror State Animal Shelter, which opened in June 2005. In April, 2006 Koror State hired a full time veterinarian through a Canada Fund grant. Dr. Mihnea Muresanu was Palau’s first vet, and ran the animal shelter and veterinary clinic for four years, assisted by 3 Palauan paravets and 6 support staff. 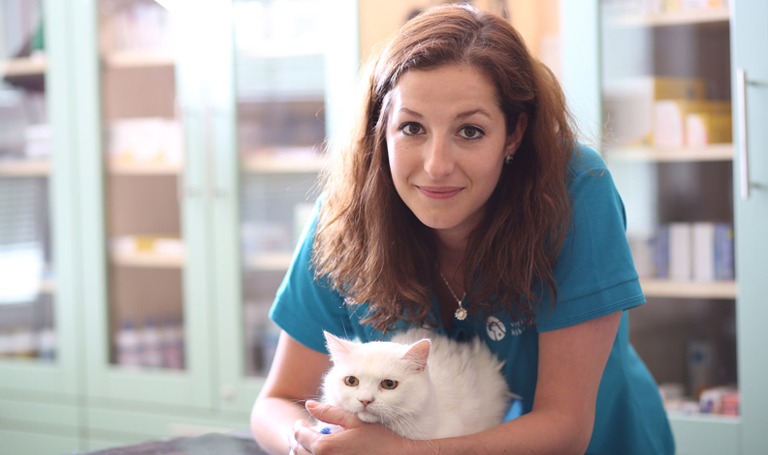 Dr. Monica Minciu followed as Palau’s 2nd veterinarian in 2010-2011. Mihnea and Monica were vet school class mates, both from Romania. Dr. Eileen Wronski from Tasmania was Palau’s third vet and returned home to Australia in 2015. Subsequent vets have come from a variety of countries, including Japan (Dr. Wataru Iwaoka), the US (Drs. Mike Brodt and Jim Speir) and the Czech Republic (Dr. Tereza Hudcova). PAWS is waiting with anticipation for Palau’s first veterinary student, with the goal of becoming the first Palauan vet! From 2005 to 2018, PAWS worked with KSG under a Memorandum of Understanding and supported the clinic by supplying all medicine and supplies, and assisted in many other areas of the KSG program. Over the years PAWS expanded the clinic by acquiring donations and grants to purchase diagnostic equipment which greatly enhanced its capabilities. In 2018 PAWS made the decision to move in a new direction. 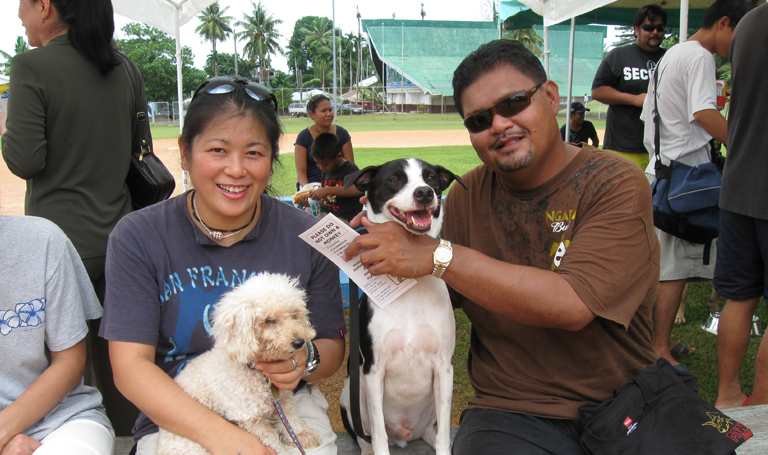 PAWS is currently taking steps to provide veterinary services in Palau by opening an independent, low-cost vet clinic. This endeavor in underway and PAWS is drawing on community and international support. Keep up to date on our progress by following PAWS on Facebook.